Where there's property, there is often the need for probate. Probate describes the necessary legal process of having a Will authenticated by the courts. Once verified as a true Will, the Will’s executor can then begin distributing the assets and liabilities of the estate. Probate is a Supreme Court Order declaring that the Will has been proven to be the last Will of the deceased. This order allows the executor to collect and distribute the estate in accordance with the terms of the Will, as well as paying off any debts of liabilities associated with the estate. Probate is needed when there is real estate associated with an estate. However, it’s not generally needed if the property is under more than one name, i.e. when a married couple share ownership of a property and one spouse dies. Generally speaking, if an estate is very small (less than $15,000) and uncomplicated by disputes of any kind, or in cases where all assets are held as joint tenancies, there is no need for a probate order to be obtained before assets are released. The executor of a Will is responsible for carrying out the wishes of a person after they die. It’s their duty to mange the deceased estate according to the terms set out in the Will – ensuring that the estate is protected. Once you've finalised your Will, make sure you store it in a safe place and tell your executor where it is. What will I need to provide my solicitor with in order to get probate of an estate? You’ll need to provide your solicitor with the original Will of the deceased and the original death certificate. What happens if somebody dies without a legal Will? How does a solicitor help in probate matters? An estate solicitor helps you obtain grant of probate while minimising the occurrence and length of delays as you are taken through the administrative process. Once you provide your estate solicitor with the original Will and death certificate, she’ll then prepare the supporting documentation, which includes a short affidavit from the executor, and a list of all assets and liabilities associated with the estate. We also take care of minor administrative formalities that can be burdensome to grieving friends and families. This includes placing a notice on the online registry for outstanding creditors. Generally speaking, getting your grant of probate is a fairly simple task. It is however an onerous administrative task. Following the passing of a family member or friend many of us have neither the emotional desire, or time available, to wade through probate paperwork. That’s why estate lawyers are often employed to handle the process, their familiarity with the procedures helping to speed things along. When an estate is simple this information can be collected almost immediately, and usually takes between 1-2 weeks to finalise. However, a more complicated estate can take a matter of months. Once all the information has been collected you can submit your application for grant of probate to the courts. This is generally speaking a purely administrative process and doesn’t require you to attend court proceedings of any kind. The courts are prone to administrative backlogs. Depending on how busy they are at the time you submit your paperwork, it can take anywhere from four weeks to eight months. Once the courts finalise your grant of probate you can begin the administration of the estate. This involves collecting all the assets, paying any debts and distributing assets to beneficiaries. Like with most legal matters, exactly how long it takes to finalise the administration of an estate directly relates to how complicated the estate affairs are. It can take as a little as a few weeks and as long as a few years. However, most cases should be finalised within several months. Our estate lawyers are available to help you obtain a grant of probate, and provide legal support and representation if matters become more complicated. 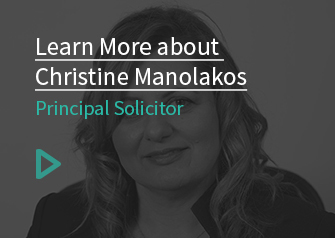 Talk to a solicitor today by calling CM Lawyers or using our contact form to start a conversation.